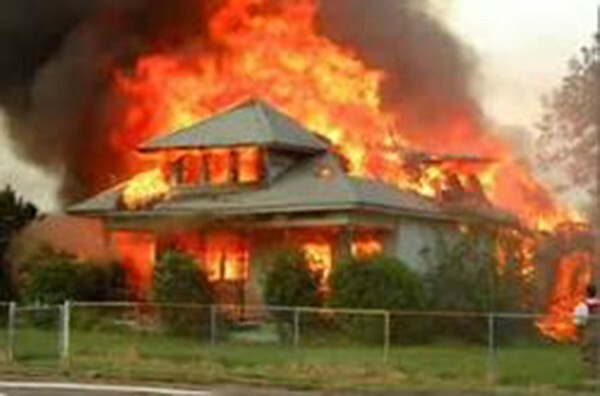 Home emergencies can occur at anytime without warning. From fires to severe weather, it is extremely important to know what to do and to stay calm. So... how can you prepare for these events? Well, Leeds Fire & Rescue has the answer! Leeds Fire & Rescue have a mobile, fire / weather simulation trailer. This trailer provides education for parents and children on the importance of EDITH (Exit Drills In The Home). Through our bedroom simulator we will show you how to feel a door for heat and block smoke with a pillow / towel and then evacuate to safety using the window and escape ladder. Sound, smoke (non-toxic), fire effects, an interactive 9-1-1 phone, and an automatic smoke detector create an authentic emergency scene to help better prepare you in the event of a fire. Life-threatening weather emergencies can occur with little or no notice. In our severe weather simulation we can broadcast realistic severe weather alerts and teach you how to react if faced with an extreme weather event. Weather simulations incorporate actual news broadcasts with surround-sound effects for hurricane, earthquake, flood, and tornado safety education. 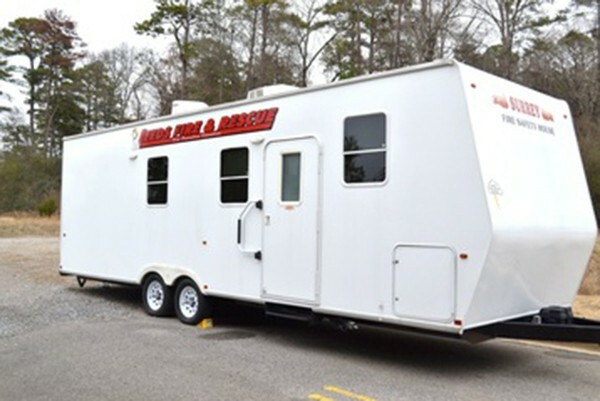 Our trailer is fully mobile and is available for public or church events, school classrooms, or anyone interested in learning to prepare for fire or weather emergencies. Select below if you are interested in a public education event utilizing our trailer.